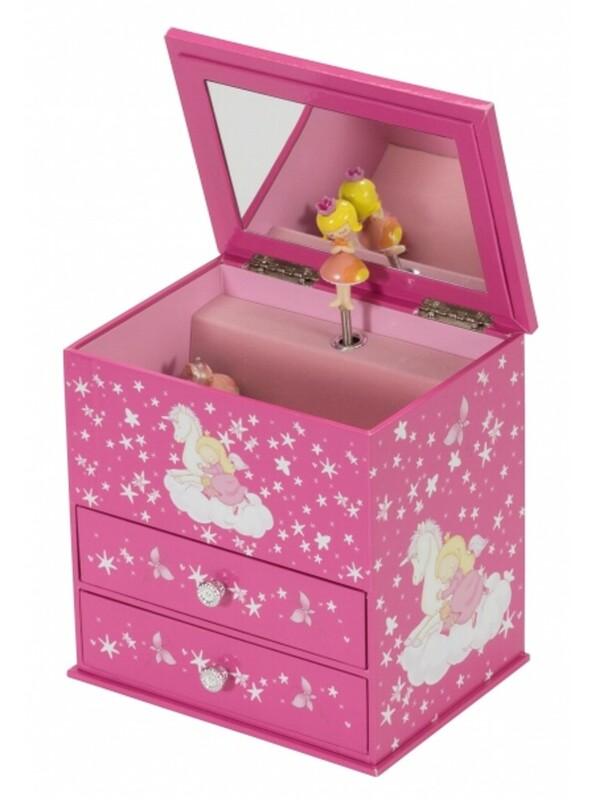 A Stunning Personalised Unicorn and Princess Musical Jewellery and Trinket Box. 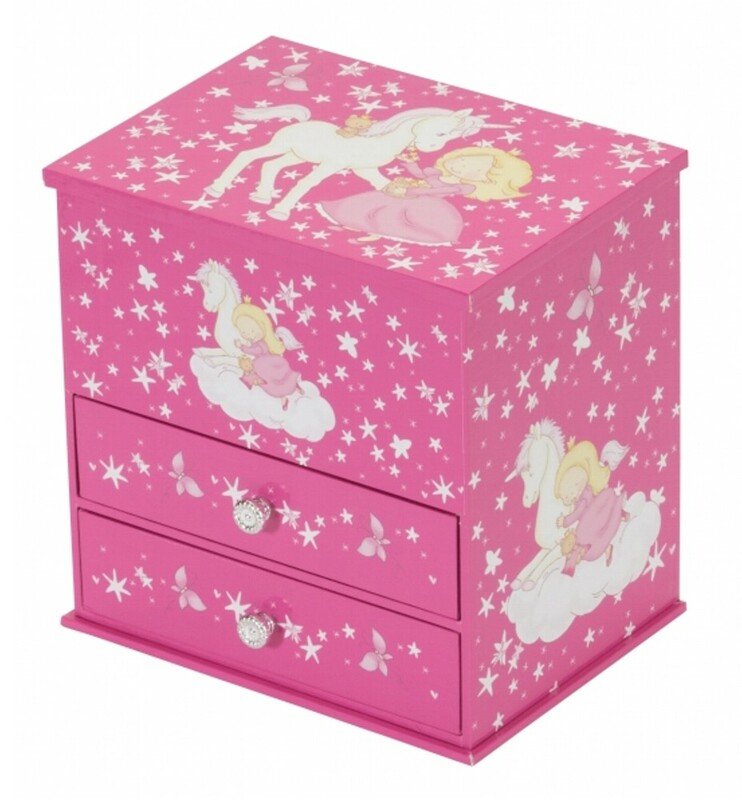 Beautifully decorated with a unicorn, stars and butterflies design, chest style lift lid with interior mirror, twirling ballerina, the musical box plays 'Beautiful Dreamer'. It has one open storage section on top and two open drawers. Hand lined in pink suede fabric. Size 17 x 12 x 17 cms. The box comes personalised with any name that you require in pink, this is affixed to the outside of the box.